Octane and Pathfinder apparently aren’t the only characters in Apex Legends who can access areas high above the normal battleground thanks to a Supply bin bug that’s been discovered. Players recently found out that by smacking a Supply bin a couple of times after it’s already been opened and then jumping on top of it, players will go flying up into the air to reach areas that nobody could possibly reach under normal circumstances. The clearly unintended effect that’s showcased in the GIF below shows one player replicating the bug and sharing evidence of it on Reddit. While playing as Gibraltar, the Legend who you’d least expect to find that high up, the player slaps the top of an opened Supply bin a few times before bouncing on it and soaring through the air. To amplify the effect, an Octane player can drop a Launch Pad on top of the opened supply bin to send people even higher. Finding an opened supply bin is usually a disappointment in Apex Legends since it means the area’s likely been picked clean and won’t be worth exploring, so at least this gives players something to do with the supply bins. The bug’s practical to an extent since it lets players leap so high, something that an opponent probably wouldn’t be expecting unless they saw the bug prepped ahead of time. Being that high does trigger the message telling players to return to the battle though, so it’s not like someone can stay that high in the air forever. 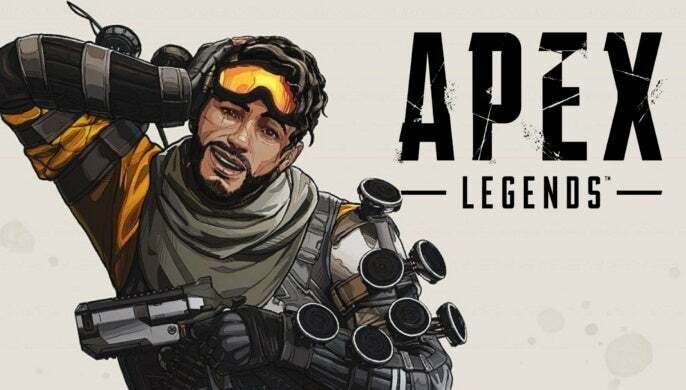 It’s also unlikely that this bug will even stay in Apex Legends for much longer now that it’s been popularized and more players are picking up on it. There doesn’t appear to have been any official word yet from Respawn Entertainment on the bug, but the developer’s undoubtedly aware of it by now. Until it gets removed, we’ve at least got some more fun fan creations to look forward to. Apex Legends players also discovered a bug not long ago that allowed certain Legends to stick their abilities on Gibraltar’s shield and have been using that to varying degrees of success.